In the 24 hours of 2018, the global digital cryptocurrency trade volume exceeded 20 billion U.S. dollars. In just one year, the global market value of digital cryptocurrencies has skyrocketed by nearly 30 times. The soaring market value has led to a large influx of investors. At present, there are more than 30 million digital cryptocurrency investors and more than 3 million domestic investment users. According to an employee of the mainstream digital cryptocurrency exchange, the number of investors with a geometric explosion has exceeded 5 million as of September 30, 2018, compared to only 3 million a month ago. In the next two years, the global blockchain digital currency will have a market value of more than US$10 trillion, and digital currency investors will also reach a scale of more than 200 million yuan. The Blue Ocean market for blockchain assets will inevitably detonate completely. The financial customers currently serving by the bureaucracy bank do not recognize the inherent value of blockchain assets and cannot provide digital asset mortgage loan services. Digital cryptocurrency features the use of P2P peer-to-peer networking technology to issue, manage, and distribute currency, which theoretically avoids the approval of bureaucracy and allows everyone to have the right to issue currency. Based on distributed accounting, collective contracts, and smart consensus mechanisms, out-centered, open-shared, and true-to-reliable information processing features, increased attention and investment has been received in the field of Internet finance, among which Goldbox is such a mortgage loan platform provide for digital currency holders. GoldBox pointed out a variety of application scenarios for digital asset lending platforms. For mine owners, they don’t need to sell currency to pay electricity bills and can hold long-term currency. For value investors, platform loans can also ensure investment and daily life, completely resolve the immediate needs of investors. The current loan market has just started, and there is still ample room for the use of encrypted digital currency. For example, using its own platform as an example, GoldBox is a peer-to-peer digital asset lending platform based on blockchain technology. Borrower users can hold pledged digital assets and pledge to obtain mobile digital assets for investment transactions or production. The users who participated in the interaction also stated that the credit loan lending platform can be used to achieve automatic level-based risk control through smart contracts, as long as there are mainstream value coins to complete the loan. In addition, the loan-to-deposit mortgage lending platform can be used to solve the pain points such as high borrowing thresholds, long borrowing cycles, high borrowing costs, and difficult risk control. GoldBox.io is the official website of the platform, providing users with multiple scenarios. GoldBox lenders can use the digital currency they hold as collateral. Completely automated risk control audits, simplifying the loan process, creating a brand-new blockchain digital currency asset mortgage market for investors. Through blockchain technology, investors are clearly exposed in a more open, direct, transparent, efficient, and safe manner. Goldbox can provide lending services for holders who do not sell digital assets and increase their asset utilization. The platform uses the industry's common security technology to achieve the most meticulous security strategies through technical means, such as cold wallets, multiple backups, and comprehensive protection of investors' digital assets from losses. For those who plan to invest in digital cryptocurrencies for a long period of time, conservative users, whether in the digital currency market or see more waves, through the platform you can enjoy the quality of pledged lending services, find the pleasure that digital assets bring to investors. 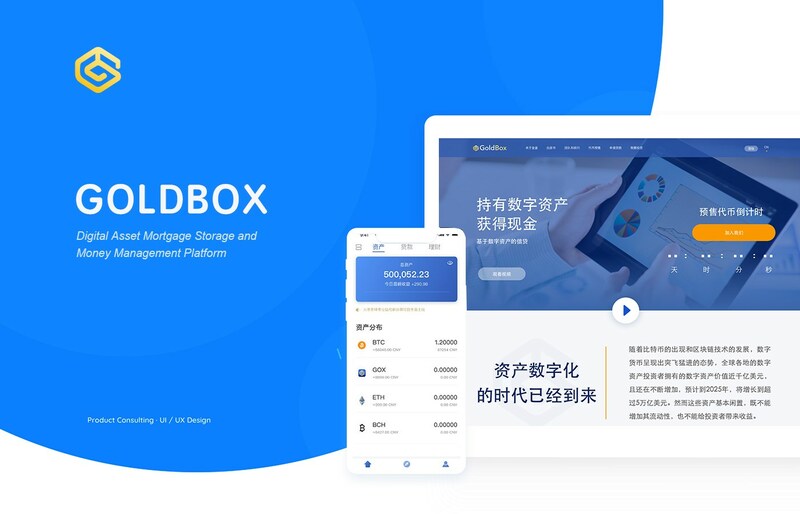 At present, Goldbox.io official website has been online, and has obtained investment from major digital cryptocurrency exchanges, and is committed to becoming a “mortgage lending bank” in the field of digital cryptocurrencies, so as to better serve digital asset holders and provide digital assets as a whole, makes efforts for the prosperity of the entire digital asset circle . The Goldbox loan process is simple. The whole process of borrowing is only three steps: registering, initiating the loan, and paying the mortgage currency. It takes only 3-5 minutes to complete. There is almost no difference between the borrowing process and buying and selling digital cryptocurrencies through C2C on the trading platform. All investment users can get started quickly. Second, Goldbox borrowing costs are low. The borrower may cancel the borrowing demand at any time after initiating the borrowing, and there is no need to pay the fee for initiating the borrowing. Only when the loan is reached, the borrower needs to pay the borrower's interest, and the platform escrow fee will be required after the mortgage period ends. As a decentralized platform, information cannot be tampered with, users can be anonymous, open and transparent platform information, retain the current smooth and convenient user experience, and the user has reached a perfect balance of security and mutual trust. Borrowers and lenders are free to choose. Borrowers can independently choose the borrowing period, loan interest, and the number of mortgage digital cryptocurrencies according to their own circumstances. Similarly, lenders can independently assess the proceeds and risks of each loan, and then choose the borrowing requirements that best match their preferences. Lenders can get interested faster. As long as the loan is reached, the lender will immediately obtain the interest on the loan instead of waiting until the time of repayment to obtain interest, without risk of property loss. Borrowing uses single-digit or even multiple-value digital currency as collateral. Even if the borrower fails to repay on time, the platform guarantees the interests of the lender without loss and avoids the risk of falling prices of the mortgage currency. Digital cryptocurrency is currently a major economic outlet. The digital asset lending market has a huge space. The blockchain industry chain project has begun to land, covering payments, transactions, risk control, and mortgages, making full use of multiple coordination effects. 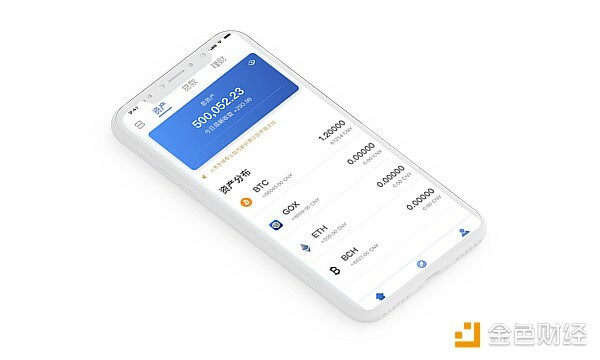 In the future, GOLDBOX will make blockchain technology landing to serve the public and investors, let us look forward to the prosperity of digital finance.